84 / 1B Topsia Road (S), Kolkata - 700046, Maharastra, India. 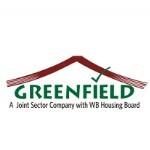 At Bengal Greenfield we have nurtured a dream that makes a difference in the perception of way of living. Be it at New Town, Durgapur, or Shantineketan, we have a mission - we make not only homes but home plus . Our versatility in real estate matches with a diverse need of each and every client.